Centrally located inside beautiful Harmony Studios at 8440 Santa Monica Blvd, West Hollywood 90069. 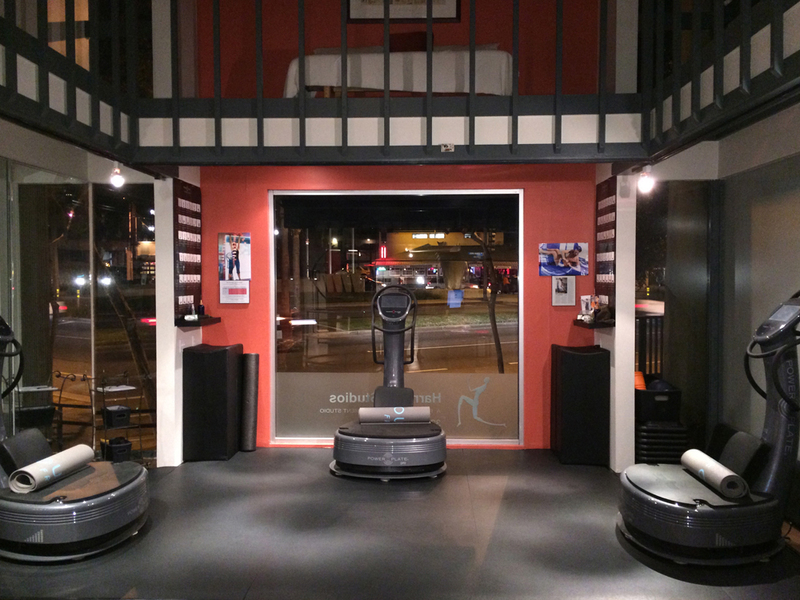 The Xcceleration Station, located inside beautiful Harmony Studios, is central to the progressive community of West Hollywood in Los Angeles. A fifteen year resident, Harmony Studios has become the sought after Pilates-evolved movement studio providing clients with the best instruction in Pilates, the Gyrotonic Expansion system, TRX and the innovative Pilates Tower group classes. Light, bright and welcoming Harmony is one of the largest and most comfortable studios of it's kind, finding the balance between a training facility and an environment that people genuinely enjoy. Harmony is also home to The Sterkenburg Effect, an exclusive bodywork studio located in a private loft above the studio, specializing in deep tissue, sport and essential oil massage. The Sterkenburg Effect makes the important step of bodywork accessible and luxurious. Combining the Xcceleration Station's innovative and exclusive services with those of Harmony Studios and the Sterkenburg Effect, clients find what they have been looking for. Results. Faster. COMING SOON - Welcome video from Harmony Studios.